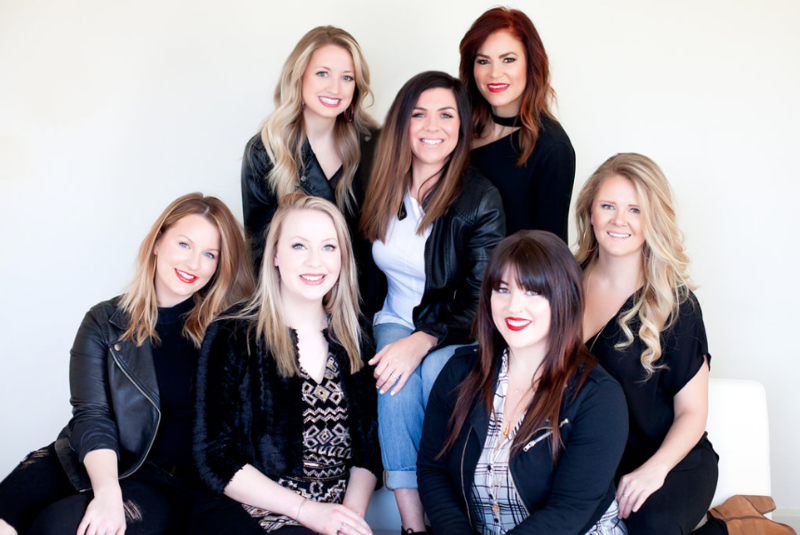 Pop of Color is a full-service makeup and hair team with over five decades of combined experience. (Seriously?! Time flies!) Our brides and their bridal parties can call us up for a one-stop-shop of flawless makeup — traditional or air-brushed — and gorgeous hair styles. Whatever your vision and comfort levels may be (minimize the forehead, no ears showing, make my eyes pop! ), we’re well-trained and experienced in customizing each look to the lady. 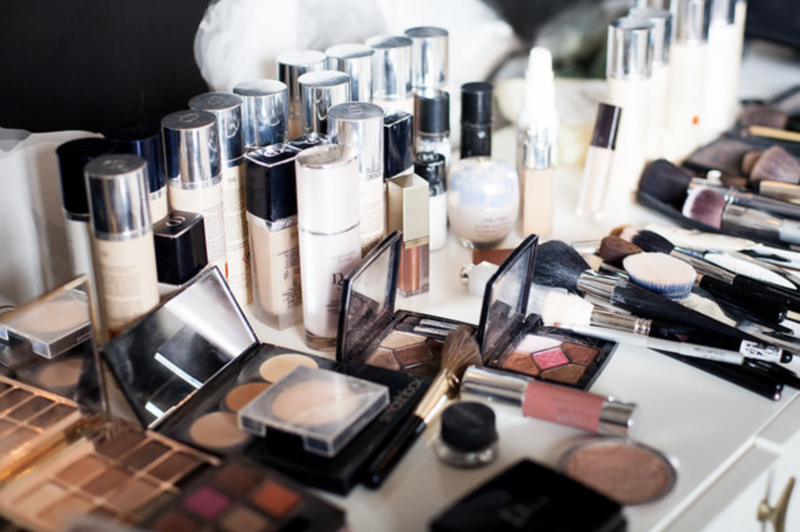 We’ll have everything you may possibly need, from skin care products, to lashes, to long-wear lipstick! Besides the blushes and brushes, what really makes this our dream job is getting to work with brides on the most important day of their lives. To have someone invite us in to share in their special day is an honor and a privilege. We feel incredibly blessed to witness the love and excitement between a bride and her innermost circle in the hours leading up to her wedding day! So that’s why we wanted to share with you our brand new ‘behind-the-scenes’ video of the Pop of Color team working with a bridal party at Engaged Studio. We love the way it captures the happy spirit of the bride and her tribe as they relax, sip bubbly, and let us work our magic! 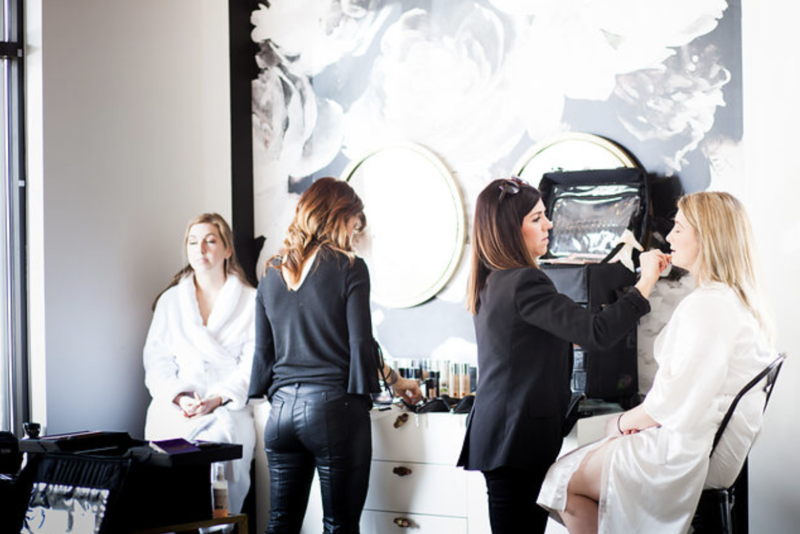 Our mission is to create the same easy-going atmosphere you’ve always enjoyed while getting ready with your girls. If you’re having fun only to turn around and see your beautiful bridal self staring back at you in the mirror…then and only then do we know we’ve done our job. Before we let you go, we want to share three tips from our owner and lead artist, Melissa DeBoer, on how to get the perfect bridal beauty look you’ve had your heart set on. First, exfoliate all your skin before your wedding day including your lips! Smooth skin helps makeup and lipstick glide on easily and stay put longer. Second, don’t neglect your brows! Just using tweezers to clean them up before your makeup will make a world of difference when we go to fill them in to frame your face. Third, skin reacts to stress, so remember to TAKE: take it easy, take a breath, and take it all in! Stay calm and be happy. You may think it’s easier said than done, but once it’s over you’ll regret not taking time to chill out and soak up every second. Believe me, no day flies by faster than your wedding day! Slow down and be present in every moment. Thanks so much for letting us share with you what Pop of Color is all about! We adore working with brides and their bridal parties, but we also get down on styling hair and makeup for photo shoots and other special occasions. Our newly redesigned website, launching later this spring, will include a comprehensive list of our services, as well as more information on each of our fabulous team members! Until then, don’t hesitate to reach out and let us add a little pop of color to your next celebration. Since you are inviting me in on such a personal day in your life, I would like to introduce myself a little. I live in beautiful Asheville, NC with my husband and three amazing children. I love my life, my job, and I appreciate all the simple things life has to offer. I feel more and more honored each time a new bride allows me access into her personal world on the most important day of her life! To contact Melissa, or to learn more about Pop of Color, please visit her official website. You may also refer to Pop of Color’s profile on the Engaged Creative Team page.